How many insurance claims we have had so far on Madi since her birth? 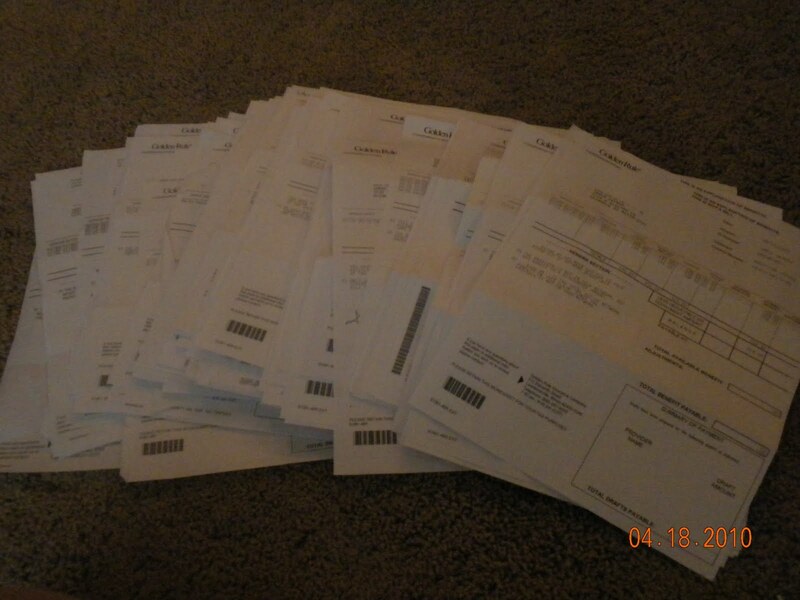 Let's just say, our insurance company probably doesn't love us too much (we have private insurance we pay for ourselves). Yes, this stack is JUST Madi, and some claims have multiple dates/claims on one page, or it would be bigger. Thank God we have insurance, huh?!?!? 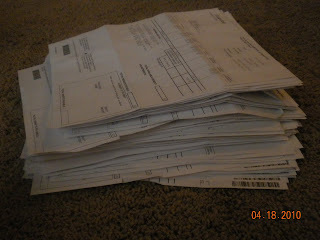 I So Love having Insurance. I've started to get all our bills from just the prenatal visits and having an ultrasound once a week and antenatal testing twice a week really adds up! 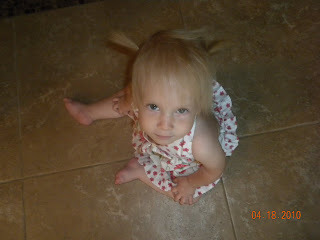 And love the pig tails. She's such a cutie!